For the last four seasons, Rhys Millen Racing has proudly represented Hyundai in North American Motorsports. The RMR programs have demonstrated the performance and reliability of the vehicles Hyundai sells everyday. However, following the conclusion of the 2012 Formula Drift and Global RallyCross Championship season, this relationship will come to an end as Hyundai's Marketing Group focuses on new strategies. 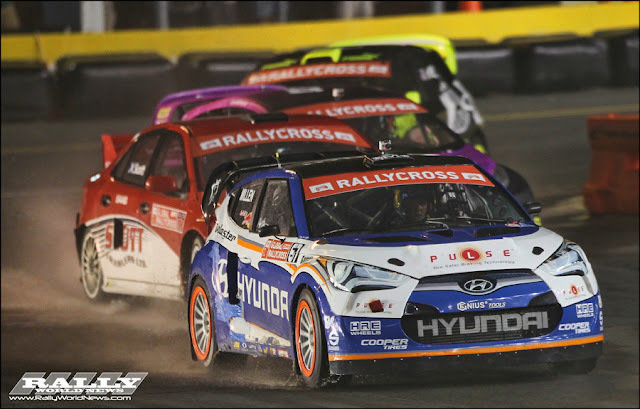 From podium finishes and X-Games appearances in the Global RallyCross Championship to event wins in the Formula Drift Championship and world records at Pikes Peak, both RMR and Hyundai have much to be proud of. RMR is also proud of its award-winning SEMA custom vehicles such as the RM460, RM500, and RMR Signature Edition Equus. The staff at RMR is thankful for the opportunity to have designed, assembled, and competed with race cars featuring Hyundai's newest and most exciting vehicles. We look forward to continuing the foundation we built with current sponsor partners and seek opportunities to welcome new primary sponsor and manufacturer partners for 2013 and beyond.